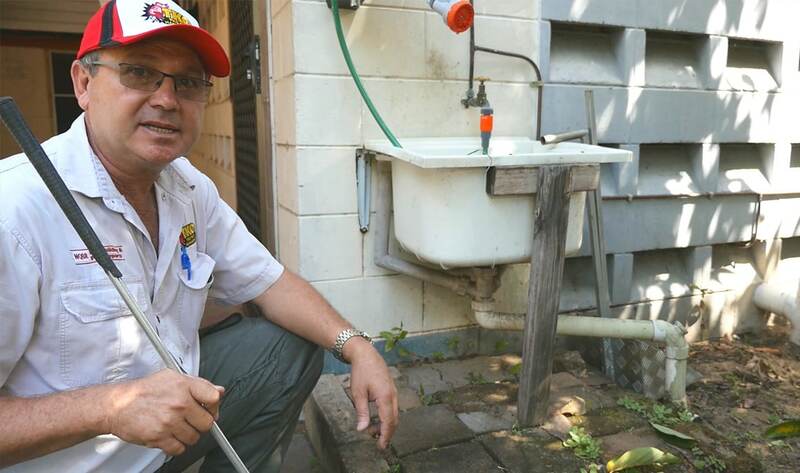 Greg from TKO Pest Management Cairns, explains how your innocent looking vegetable garden or paved pathway may be inviting termites directly into your Cairns property. An area where we consistently find termites gaining access to buildings is where the ground level around the outside of the building has been built up higher than the internal floor level. These built up areas are referred to as “Bridging” (the bridging of the termite inspection zone), as they act as a bridge that provides termites with direct access to the vulnerable materials within the building structure. Because it is quite easy for termites to gain access through these areas, it is essential that property owners always keep the external ground level below your internal floor level. This means that you should, wherever possible, resist putting in gardens and building up pathways and always keep a good termite inspection zone around the perimeter around the outside of your building. View our “CAIRNS TERMITE TIPS” video at www.youtube.com/Cairns-Termite-Tips for more great tips from Greg.